On 1st July 2018, Stéphane Reb was officially appointed MBDA’s new Executive Group Director Programmes. 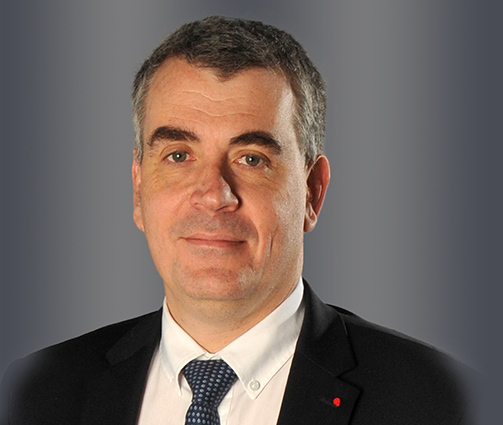 Prior to joining MBDA in 2017, Stéphane held the role of International Director within the Direction Générale de l’Armement (DGA), the French Government defence procurement and technology agency. Stéphane began his career at the DGA in 1991 as a responsible for tactical missiles studies. He subsequently occupied various positions of responsibility in the fields of missiles and aerospace. In 2001, he moved to OCCAR (Organisation Conjointe de Coopération en matière d’Armement / Organisation for Joint Armament Cooperation) in Bonn, taking charge of the Tiger helicopter programme. Stéphane returned to the DGA in 2007 as Rafale Programme Director and was appointed to lead the Rafale Management Unit before joining the DGA’s International Directorate.